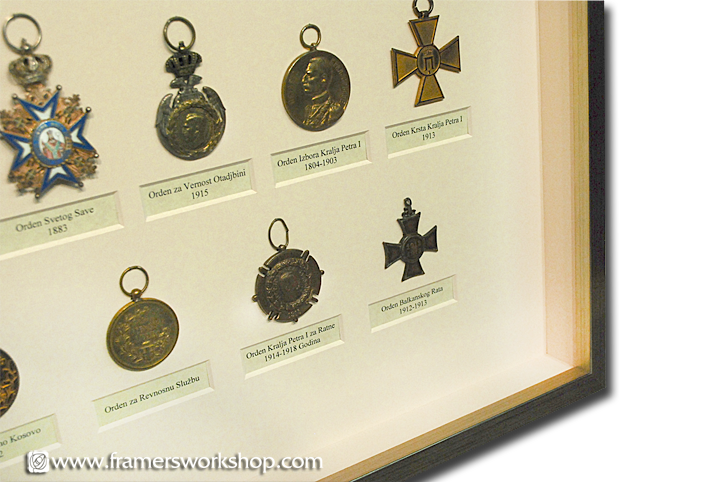 We framed this antique set of Historical Military Medals in a Nurre Caxton Metropolitan "Slant Top" antique silver frame. 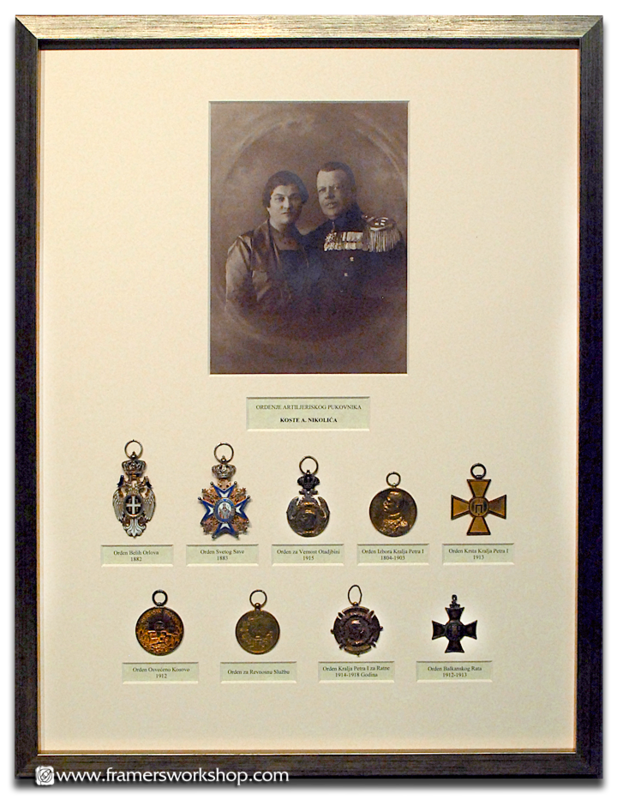 The medals are sewn directly to the matting, which includes openings for descriptive text and antique photo. Since the medals sit atop the mat, the matting is recessed with mat walls inside the frame. The matwalls support the Museum Glass glazing.